at the Downtown Cedar Rapids Public Library. Agenda for the day is here. Playlist for the concert is here. The flier for the event is here. Downtown Cedar Rapids Public Library! Your Merry TubaChristmas Concert Coordinator! Visit the international Merry TubaChristmas web site at TubaChristmas.com! Click on the song title below to hear the music and richness of sound from our low brass musicians ! Below are pictures from the 2017 Merry TubaChristmas Events! A fair warning! Our 2018 concert is December 1. That is a lot of TubaChristmas buttons! Oh yeah! We're going to have some fun today! This concert is going to be great! All set to go for the TubaChristmas concert! Rehearsing with our fabulous director Steve Shanley! Thanks again to our fabulous director Steve Shanley! Jim and Kyle - your TubaChristmas coordinators! More pictures from our 2017 concert! Toting my Tuba to the 2018 TubaChristmas Concert. See You There! 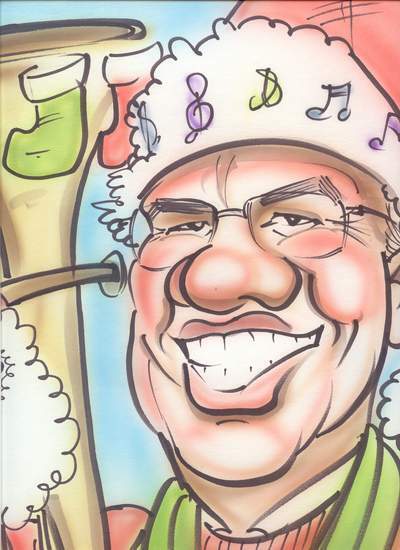 TUBACHRISTMAS concerts are presented with permission from the Harvey Phillips Foundation, Inc.